When nesting, the option to create sheets on the fly as needed or import from a library is available. Right click over Sheet List in the Sheets tab. 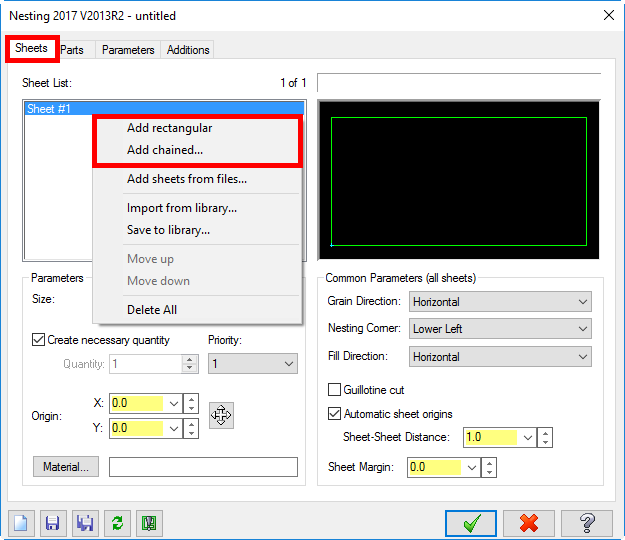 Select either Add rectangular or Add chained. 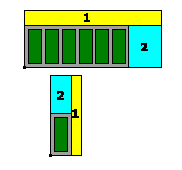 Once the rectangle is added, you can modify the size, the quantity, and apply a specific material. Using chained geometry is useful for utilizing scraps and uniquely shaped stock. 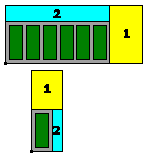 The geometry must be present in the current part file and must be the actual size. Nesting sheet libraries contain full sheets and scrap sheets. 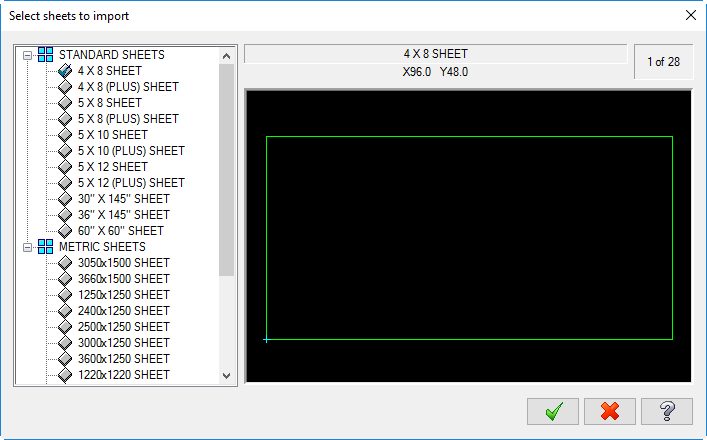 Sheet libraries are saved with an NSLX extension. 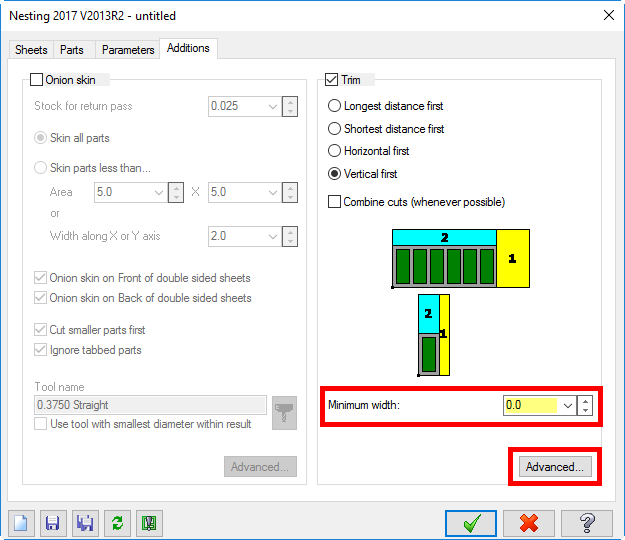 When a sheet is saved to a library, the sheet geometry and settings for size, material, origin, grain direction, and quantity is retained. To save a sheet in a library, right-click in the ‘Sheets List’ on the Sheets tab and choose Save to library. This will retain the sheet size and/or shape and the material. 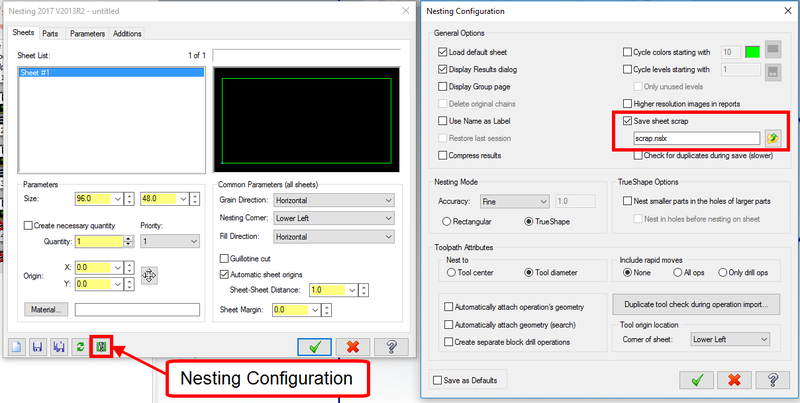 To save a sheet in a sheet scrap library, select Nesting Configuration and check box for Save Sheet Scrap. The library used for scrap is indicated here as well. An existing library or new library can be used. 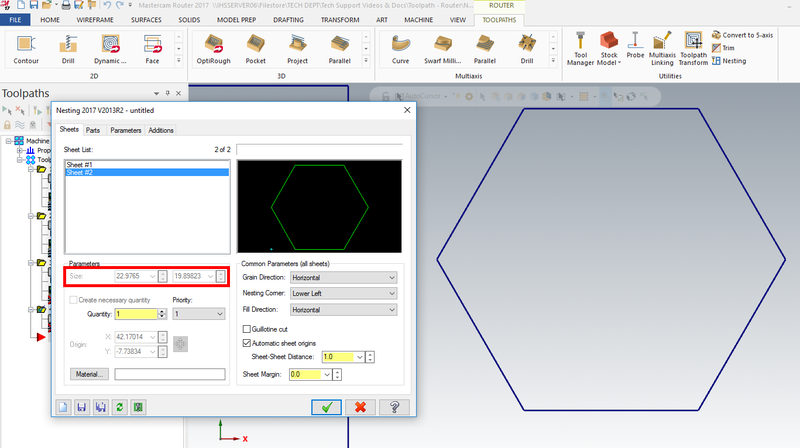 Note: If there are existing scraps around the shop, the geometry can be drawn and the sheet can be added to the library using Add chained and Save to Library. Keep in mind that Mastercam is not an MRP system so you will need to manage these scrap yourself. Some users prefer to manually add scraps of standard sizes and not use this function. To import a sheet from a library, right-click in the Sheets List on the Sheets tab and choose Import from library. Choose Metric or Standard sheets. 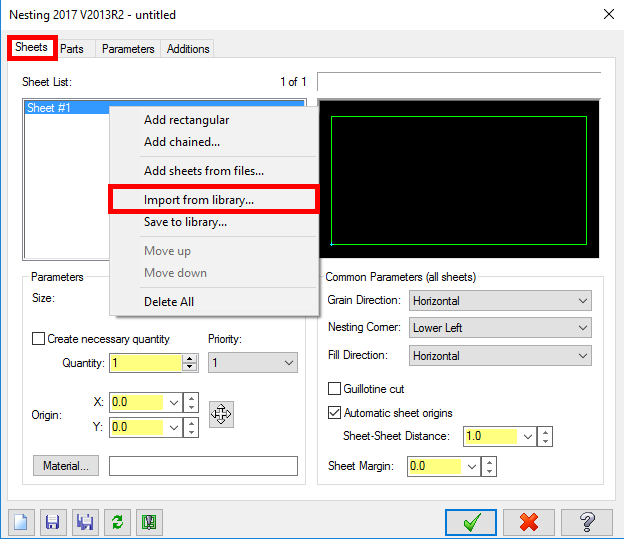 To import more than one sheet from the same library, use [Shift+click] to select a range of sheets or [Ctrl+click] to select separate sheets. The check marks indicate what sheets you have selected. To delete a sheet(s), select sheet(s) and press delete on your keyboard. If the sheet you are deleting is selected to add to the Sheet List, it will still add it but will be deleted from the library for the next sheet import. Note: Keep in mind that Mastercam is not a MPR system and will not track your materials and scraps. Trim is found under the Additions tab. This will square off the remaining material with a saw operation. The different options give you the opportunity to indicate what you would like to take priority in the sequence. Preferences for this will depend on different requirements. Longest distance first: this will give priority to the greatest distance available no matter the orientation. 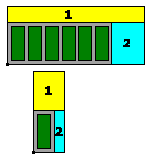 Shortest distance first: this will give priority to the least distance available no matter the orientation. Horizontal first: No matter the distance the horizontal direction will be cut first. Vertical first: No matter the distance the vertical direction will be cut first. Note: If scrap is being save, the separate cut-offs are not saved, the irregular shape is. 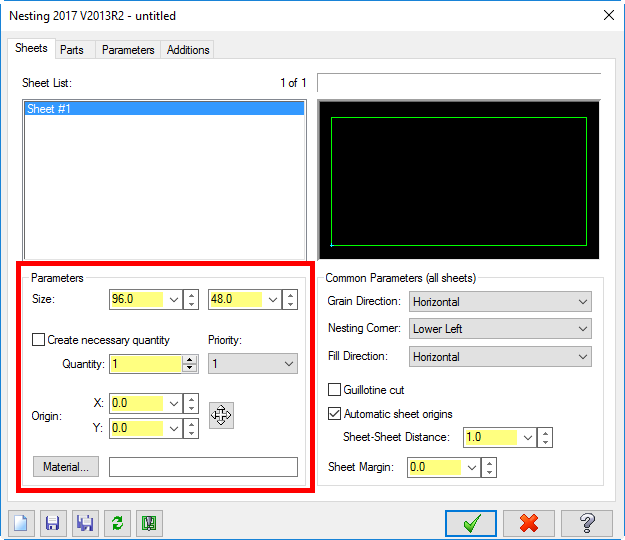 Set the minimum width for cut-off and set the parameters for the saw operation. The parameters for the saw operation are found under Advanced.